We’d love your help. Let us know what’s wrong with this preview of The Sakura Obsession by Naoko Abe. Collingwood "Cherry" Ingram first fell in love with the sakura, or cherry tree, when he visited Japan on his honeymoon in 1907. 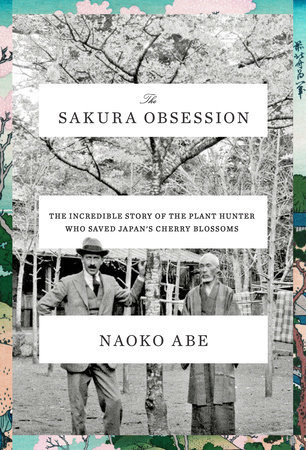 So taken with the plant, he brought back hundreds of cuttings with him to England, where he created a garden of cher The remarkable 1,200-year history of the Japanese cherry blossom tree--and how it was saved from extinction by an English gardener. To ask other readers questions about The Sakura Obsession, please sign up. One should always get out of their comfort zone and try things they say. Different things. For me reading something which I wouldn't otherwise is radical enough. I mean, this book intrigued me, and I just had to read it to know more. I am so glad I did. To experience a different culture (which of course I have through other reads), but also knowing about the Cherry Blossom and how it came to be saved was a brilliant experience. The story starts in 1907, when Collingwood "Cherry" Ingram fell in lo One should always get out of their comfort zone and try things they say. Different things. For me reading something which I wouldn't otherwise is radical enough. I mean, this book intrigued me, and I just had to read it to know more. I am so glad I did. To experience a different culture (which of course I have through other reads), but also knowing about the Cherry Blossom and how it came to be saved was a brilliant experience. The story starts in 1907, when Collingwood "Cherry" Ingram fell in love with the sakura or the cherry tree, as he was visiting Japan on his honeymoon. He was taken in with the tree to such an extent that he couldn't help but bring back hundreds of cuttings back to England, where he literally grew them, creating a garden of cherry varieties. In fact, in 1926 when he learned that the cherry tree was extinct in Japan, he sent a cutting of his own through the Trans-Siberian express. Not only that, Ingram also ensured that cuttings were sent to other parts of the world, where it was conducive to grow the specimen. This in short is what the book is about. However, there is so much more to it. Abe writes elegantly, and not only that - the research is spot on - with photographs, details, linking of other events, and personal perspectives. At times, I also felt that I was actually reading a historical novel, it is so well-written. I found this book very engaging and informative. I think it did a great job of introducing many of the cherry varieties and Mr. Ingrams passion for them without being too technical or verbose. I very much enjoyed learning of the many varieties of cherries as much as the history of their cultivation and their symbolic meaning for Japan and the world. I appreciated the shorter, bite sized chapters and the many photographs and illustrations. I felt they helped me grasp the aesthetics that Ingram an I found this book very engaging and informative. I think it did a great job of introducing many of the cherry varieties and Mr. Ingrams passion for them without being too technical or verbose. I very much enjoyed learning of the many varieties of cherries as much as the history of their cultivation and their symbolic meaning for Japan and the world. 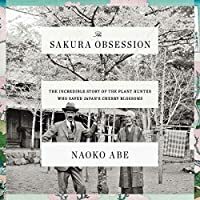 The Sakura Obsession by Naoko Abe is a history of the Japanese cherry blossom tree and the man who obsessively studied them. Collingwood Ingram discovers cherries on his first visit to Japan. He spent the rest of his life growing cherries at his home in England and sending cuttings of the trees around the world to ensure everyone could enjoy the beauty of trees. He eventually returned an extinct variation of the tree to Japan.